We all know about chemical hair colors but there is a lot of confusion around natural, herbal and organic hair colors. Most people use these terms synonymously and think that natural, herbal and organic mean the same, but actually these are different. In this article we will find the difference between organic, herbal and natural hair colors and will also discuss how Plant based natural hair colors are different from chemical hair colors. We will also talk a little about Henna. To learn more about these, check out THIS ARTICLE. 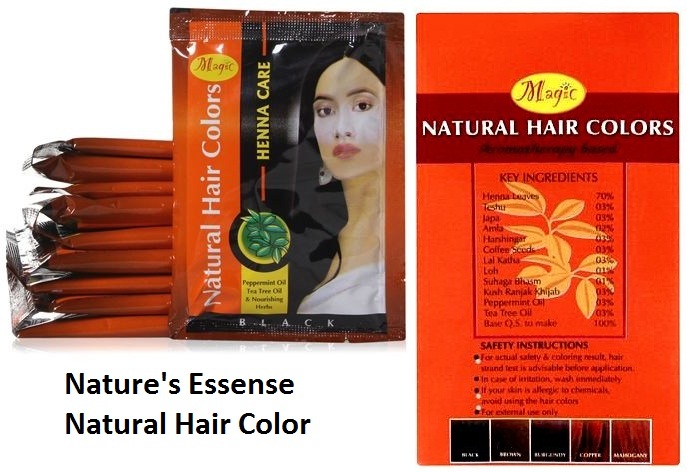 Most branded 100% natural hair colors in the market today are either made from Henna powder mixed with other powdered herbs, or from the natural extracts of these herbs. The ones made from plant extracts are costlier than the simple powder mix of herbs. HERBAL HAIR COLORS: Going by the term, herbal means something made or derived from plants and herbs. Most people think herbal hair colors mean something that is 100% made from plants and is completely safe. But the truth is many companies add one or a few herbs to their chemical composition as a motivational factor, and market them as Herbal hair colors. So please understand that herbal colors may or may NOT be 100% herbal compositions. ALWAYS check the ingredient list before buying. NATURAL HAIR COLORS: Natural means something that does not have any artificial or synthetic ingredients added. So a natural hair color can have some herbal ingredients as well as some naturally derived chemicals. But again a hair color tagged as Natural cannot be just trusted by the use of the word 'natural'. Many brands use this misleadingly to lure people into buying their products, but beware! For example, see this hair color which I was almost about to buy in Brown shade, when I happened to notice that it has only key ingredients listed and also tells you to avoid it, if your skin is allergic to chemicals. Mind it, it is marketed as a Natural hair color. There is no stern law in India at least to monitor and control these claims. So a brand may simply add a few natural ingredients to their high chemical composition and shamelessly market it as natural or better list just key ingredients. 100% natural hair color could be Henna or Henna with other natural herbal additives, with no harmful chemical added in there. ORGANIC HAIR COLORS: Organic is the most misleading of these three as people often confuse it with natural or herbal. Organic simply refers to the way the ingredients have been treated before they have been composed into a hair color formulation. So even chemical based hair colors can be labeled as organic if these contain one or a few certified organic ingredients. By the way, did you know that it requires a proper certification for any brand to label and market their hair color or other products as Organic? If a packet does not mention anything about certification or the organization from where it has acquired that certification, chances are it is NOT organic. Besides, the law to control the use of this term exists only in a few countries. In any case, Organic does NOT mean the hair color is completely safe or natural. It may even have 95% harmful chemicals and 5% organic herbal ingredients as a motivation for people to buy it. 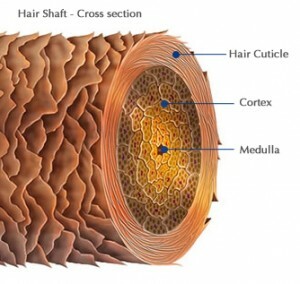 Hair colors made from completely safe plant ingredients do NOT penetrate into the hair shaft. They color your hair by just depositing color pigments on the outer layer of the hair. While chemical hair colors penetrate the hair shaft and deposit the color in the inside of the hair. Chemical hair colors contain ammonia or resorcinol that opens up the hair shaft so color molecules can enter inside the hair and deposit the color there. Chemical hair colors are further of 4 types: Permanent, demi-permanent, semi-permanent and temporary. Permanent and demi-permanent hair colors enter the cortex and so does Henna on repeated use. Permanent chemical hair colors first remove your natural hair color (the melanin pigments in your hair) and then deposit the chemical color inside the hair. Demi-permanent chemical hair colors also enter inside the hair, but they simply deposit the color without damaging your natural melanin (your natural hair color). Since plant-based hair colors just coat the outer layer of the hair, they get washed out sooner and are not optimum/perfect for gray coverage. 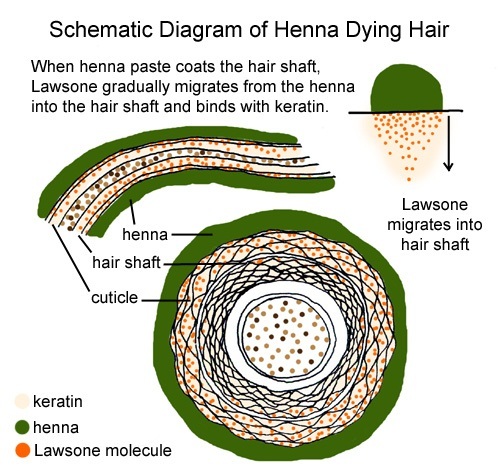 The maintenance is comparatively higher as you will need to re-apply hair color often and the color lightens after each wash. Chemical permanent hair colors on the other hand stay within the hair shaft almost for the entire life of the hair, though it loses its brilliance over a few months due to sun exposure and other factors. It lightens a little but does NOT wash out with shampoo. When new hair length grows from the bottom, the chemically colored hair simply move down. You then need to touch up the newly exposed hair roots which may be gray or of your natural hair color. The other milder varieties of chemical hair colors (demi permanent, semi permanent and temporary hair colors) wash out with hair wash, just like plant based colors. In terms of damage, both plant-based and chemical-based hair colors have the tendency to harm your hair over long term exposure. Chemical hair colors have comparatively much serious effects though. Prolonged use of chemical hair colors can cause severe damage to your scalp, may lead to bald patches, excessive hair loss and the chemicals that get absorbed into your body to your blood stream may cause multiple other health risks. Many times, people are unable to figure out that these health problems could be related to their long-term exposure to chemical hair colors. Plant-based hair colors may affect your hair quality but they are not dangerous like chemical hair colors. This is why people first turn to natural hair colors before trying out chemical hair colors. But soon they realize that plant-based hair colors are very mild and cannot cover gray for long. 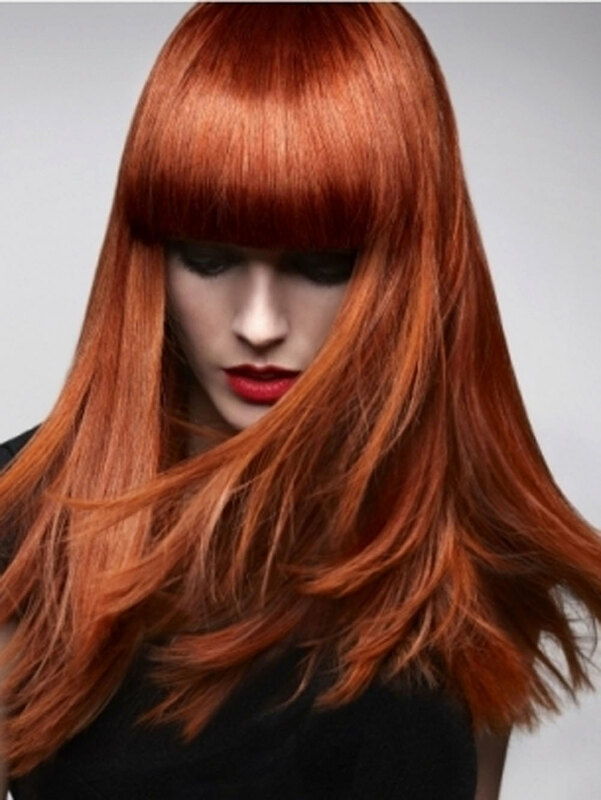 Plant-based hair colors have an astringent effect on hair. They make hair strands thin and dry over continuous use. This is why many people who have been using Henna for a long time complain of dry, brittle hair and split ends. Also normal red Henna (Lawsonia Inermis) is acidic in nature. But all this can still be controlled with oil massages or by adding conditioners like egg white, essential oils and other herbs. You cannot use nourishing products on your hair when you dye them with chemical hair colors. This is because oil massage or natural hair masks will wash out your hair color quickly. The so called chemical color-protect creams coat your hair and make them look glossy on the outside, but may actually not be doing ANY good to your hair's health. On the other hand, if you use Henna (the most renowned and widely used plant hair color), massage with oil can actually help the color penetrate better into the hair making Henna coloring permanent and darker. So another major difference is chemical hair colors lighten over time while Henna actually keeps becoming darker for many days after application, as more and more henna color pigments penetrate into the hair. You need to prevent any contact with a metal while using a chemical hair color else there may be a chemical reaction between the container and the chemical hair color mixture. So make sure to remove your jewelry, metal hair pins etc and always use a plastic, glass or ceramic bowl to mix your chemical hair color. Contrarily, people specifically use an iron container for Henna. But I would not advise that especially if you are going to apply Henna over chemically treated hair, be it chemically dyed, permed, blonde or colored. Also, red Henna (lawsonia inermis) is acidic in nature so it does react with a metallic container and may become allergic for some people's scalp. Chemical hair colors are mixed with the developer, immediately before applying as they work on the basis of oxidation. Plant based hair colors are to be soaked for a long period (at least 12 hours in case of Henna). Chemical hair colors are kept on hair for around 30 min for touch ups or maximum 45-50 minutes in case of full coverage. There are also short duration hair colors now available in the market, which you need to keep only for 10 min or so, but obviously the chemical is stronger in these and the amount of PPD is higher. Plant hair colors on the other hand need to be kept for longer duration like 2-3 hours minimum to get decent color, since these are mild and take longer to coat the hair. Chemical colors have a neutral or burning effect on the scalp, depending on how healthy your scalp is, while Henna based hair colors have a cooling effect on the scalp. This may not be suitable to some people, especially those with weak nerves in the head and those who always have a running nose or cold. While Henna is a safe option, it may not suit some people. The smell or the cooling effect may be too much for some people to bear. So always apply hair colors in a well ventilated airy room whether your are applying chemical hair dye or henna. IS HENNA A TEMPORARY OR PERMANENT NATURAL HAIR DYE? Henna and Indigo are an exception. Indigo leaves powder are often termed as black or indigo-colored Henna, but it is actually not Henna. It is added to Henna to get a darker hair tone. But you need to first have proper knowledge on how to implement it into your Henna hair coloring. Henna and Indigo are two plant based 100% natural hair colors that can actually penetrate or enter the hair shaft without the help of any chemicals. Initially when you apply Henna, it just coats the hair from outside like a temporary hair color. Within a few uses, some henna color pigments enter the hair shaft and the remaining ones keep sitting on the outer layer as a coating, so it becomes a demi-permanent plant hair color. With regular use, Henna can become a permanent hair color as more and more color molecules penetrate into the hair shaft. So Henna definitely has an advantage over all other type of hair colors. However, you need to know certain things to get the best out of your Henna coloring experience, which we will discuss in future articles. People who have already suffered damage due to chemical hair colors are now searching for safer options, while people use Henna are unhappy with the orange hair color it imparts and want to try out chemical hair colors. Earlier only chemical hair colors were costly, but now organic and herbal hair colors are going equally high in prices. Businesses are now well aware that 'Safety' is a major concern among hair color users and they are cashing on this great opportunity created by a user's fears of chemical colors. The truth is, you CAN get better and darker hair color with Henna too, which I will discuss in another article in the future. Stay tuned or subscribe by email especially if you need help with hair colors. Do you use Henna, some other plant based hair colors or chemical hair colors? Please share your feedback in the comments below for the benefit of other readers who need help with hair coloring. If you are a regular Henna user, please do share what all you add to your Henna in an attempt to get a better color out of it. What works for you and what does not? 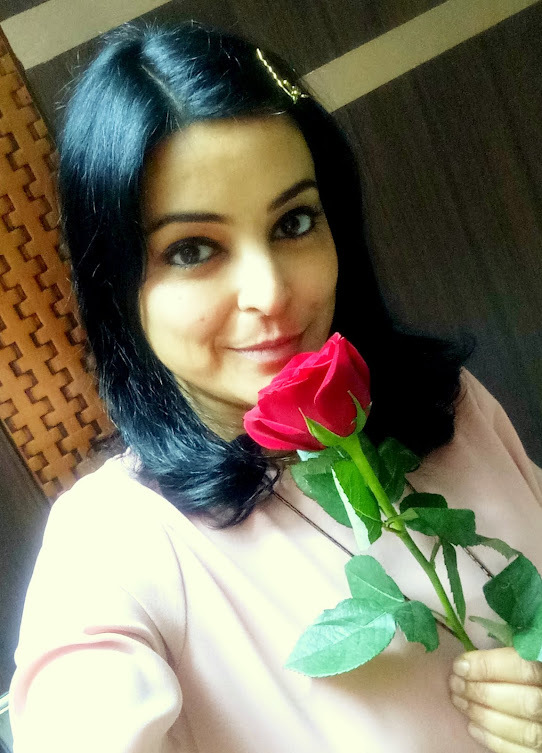 Hi Surpiya, so nice to hear from you after long :) Sure dear, I will share more details but it will take some time while I personally experiment some of the things I have in mind. Thats such a detailed and well written article. We get so attracted to this word Herbal that brands use this to fool customers and they will only point out key herbal ingredients not the complete list. I use Henna to get a reddish tinge. My mum uses it too! Thanks Niesha. Wow, I did not know you also use Henna. It gives great results in terms of color and gloss to natural hair you would agree. But it is people who want to use Henna for gray coverage, who face the maximum challenges. That's because there are no ads or guidance available on the additives which can give a darker color with Henna. very well researched post Gagan.. so much I did not know about hair colour! I use henna with egg and curd but keep it on just for 1 hour for the conditioning.. Thanks Avina. To be honest, I wrote this article in a flow with whatever I already knew. The research part will come in future posts. Egg and curd mask give a lot of shine to hair. Try Cassia Obovata if you want only conditioning and no color. It is the so called neutral Henna and it will give you kissable hair, healthy scalp and also claims to repair hair damage. I am so glad if that's the case Aarti :) Couldn't be a better compliment to make my day. When some post actually proves helpful to someone, it gives me immense satisfaction. i use henna(godrej nupur).simply paste and aplly leave for 3hrs its great for my gray hair.but how to condition my hair with this. i am using nupur henna .with nothing else.for my grey hair.can i have color my hair black with henna and how? Hi Madhumita, there are two more varieties of plant leaf powder that are counted as Henna, though they are not actually Henna. One is Indigo which is blue-violet plant hair dye and the other is Cassia (Senna) which does not give any color but is great for hair conditioning. These are not easily available in the market as these are mostly exported to other countries. But I will provide more details on the blog in the coming 1-2 months on how to get black hair with plant dye and where to buy these. Stay tuned. You can subscribe by email or become a member on my Facebook page. I have used Nupur Mehndi a few years ago. It is good as it contains other additives like Amla, bringaraaj etc. But I can't comment if they add any chemicals for darker color. I use Patanjali/Ramdev henna which has the same ingredients. But mehndi alone will not give you gray coverage. You will just get orange or at the most dark orange shade with it. You might want to go for indigo + henna treatment if you want proper gray coverage. Please don't comment under other people's comments, it becomes difficult for me to 'search' for your comment. As mentioned above, you need to use the second last option and leave your name. No Anonymous comments pls. I had to unmark this comment from the spam section. For Indigo details, email me after becoming a member and I will get back in a few days. See Blog Policy for detail. Can you give a list of temporary hair color sprays available in India ? These sprays are pretty easily available abroad but have not hit the Indian market yet. I mean these are not available as common items in India. You will need to check with a high-end saloon or check on ebay. You can also use colored chalk to temporarily color your hair but will require a hair iron to seal in the color. It's also temporary and should wash out with shampoo. Dear Marry, you can get your hair darker minus the orange tones with just Henna and Indigo and in fact with so much Henna in your hair, it's going to be comparatively easier for you than other people. 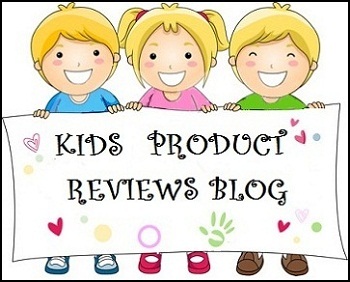 Please read the blog policy, become a member of the blog and email me for further details. Ok, hair is dead, and dry, brittle hair is dry, brittle hair. So, unless there's an allergy happening, I'm not really sure what the difference is, effectively, between managing brittleness and dryness from henna vs that which occurs as a result of a less 'natural' process. The solution is the same - oils, and/or silicones, something to feign shine and slip, on dead material. Hair is NOT dead to set your basics right, it has a proper growth and life cycle like your biggest organ 'Skin'. Henna causes brittle and dry hair only when you DON'T KNOW how to take care of your hair. It is a 100% safe process otherwise. Regarding allergy from chemicals, please go read the article on Ammonia Free hair colors under 'Hair Care' and you will have some insight how many people out there are suffering. I get 8-10 emails everyday where people share about their allergies and other health problems arising out of their hair color usage. Chemical colors are fine to be used for 2-3 years in a row and are bound to affect your scalp and hair after that. Silicones are NOT the solution, but some oils like Argan and Jojoba do help restore hair's health. If you really think hair are something dead, go shave all your brows, head, lashes etc... why keep so much dead weight on you. If you are not being plain stupid and are actually serious about what you wrote, you seriously need help. Hair have been provided by nature as protection for your skin and certain organs. The skin on the scalp is the thinnest and in Summers, hair protects the nerves under the scalp from direct sun, similarly in winters, hair provide protection from extreme cold maintaining some warmth in those fine capillaries which need to supply blood to your brain. If you don't have gray hair, don't bother. Hello Ma'am, Thank you for this very informative post. I wanted to try out Baba Ramdev henna on my hairs as I have heard a lot about their products.Earlier I have used Shahnaz Husain henna mix for 4 to 3 times on my hairs.The only reason for applying henna is to cure my dry, rough, brittle hairs.I just do it for conditioning purpose. Otherwise I would never have because I have knee length hairs, its very tiresome. Ma'am do you have any suggestions on how to make the conditioning effect of henna last long on my hairs.& How to prevent the henna from coloring my hair red. Hi dear, Ramdev Henna is excellent and I am using it. Recently they have changed the packing as well as the composition it seems. Earlier it didn't use to give that much color, but now it does. For conditioning, you can make the Henna paste instantly and apply, without pre-soaking as during soaking the Henna releases color/dye moelcules. I would suggest using Cassia. It is often called neutral Henna though it is a different plant. It will give you the same benefits minus the color. Cassia also treats scalp infections. You can buy online. If you are a regular user, try buying from an exporter. If you need more details on Cassia usage, please email me after becoming a member (refer to Blog Policy). Thank you so much Ma'am for the reply. I applied henna instantly after mixing, and I am happy that it hasn't colored my hair this time. I am also gonna try Cassia, I didn't knew any such herb existed that did only conditioning. can you please let me know where to get indigo from? Thnx for clarification on the terms organic, natural and herbal...I always had this confusion or misconception if they differ or not and on which bases.. Very well researched Gagan, again informative.